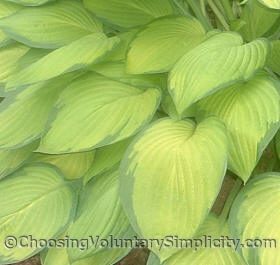 A mature Hosta ‘Gold Standard’ is an impressive sight! 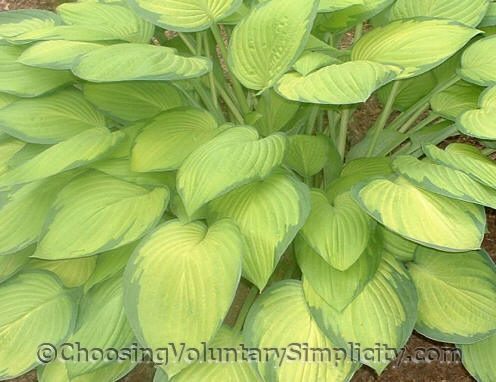 It has no trouble passing the “ten foot rule” (meaning that it is easily recognizable from a distance) because the bright color of its leaves will make it stand out in any garden. Some Gold Standards lighten to a white gold in late summer, although mine remain the same color shown in these pictures all season long (because of our cooler summer temperatures, perhaps?). A characteristic of Gold Standard is that it grows very rapidly. Mine is only about three years old, and it already measures more than five feet across. This hosta rarely produces seed pods, and mine never has… although maybe near year! I paid thirty dollars for this hosta in a gallon pot and it was worth every penny. I have divided it twice so now I have three, and you’re right, they do grow very rapidly. Mine don’t have as nice a border as yours do, perhaps that is their young age. I got this hosta through a swap. It is still very small but shows promise. 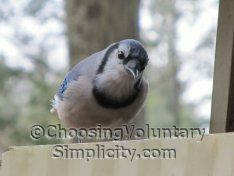 I am enjoying your section on hostas. Keep up the good work.